Feel good about eating chocolate! Healthworks USDA Certified Organic Raw Cacao Powder is a superfood that is completely guilt-free! The nutrient density of raw cacao benefits every function of the body and instantly transforms recipes into the healthiest chocolate treat. A nutrient dense energy boost- Cacao powder is full of beneficial compounds and provides a great source of magnesium, calcium, zinc, iron, copper and potassium. It is also one of the richest natural food sources of antioxidant flavonols. We source our Cacao Powder from small, organic farms, where the cacao beans are hand harvested, cold pressed, and carefully milled into fine powder. Healthworks 100% Satisfaction Promise: Get a full refund or replacement within 30 days if you are not completely satisfied. 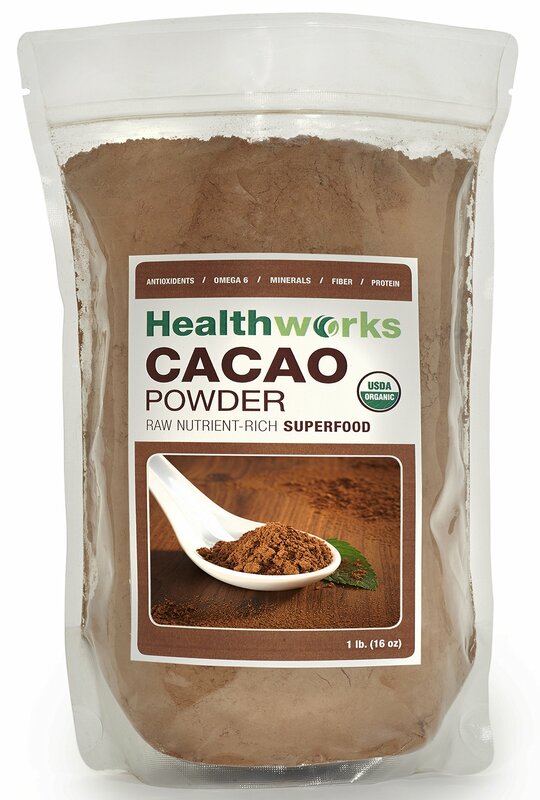 Satisfy chocolate cravings and focus on a healthy diet with our Healthworks Cacao Powder. Our Cacao is 100% pure, raw, organic, and tasty too! Packed with vitamins, minerals and antioxidants, cacao powder has an earthier, bitter taste, so think dark chocolate but healthier! We source our Cacao Powder from small, organic farms, where the cacao beans are hand harvested, cold pressed, and carefully milled into fine powder. This process retains the cacao's authentic, rich, bitter-toned flavor and high nutritional value. Indulging in the powder form allows for maximum digestion and absorption when consumed.